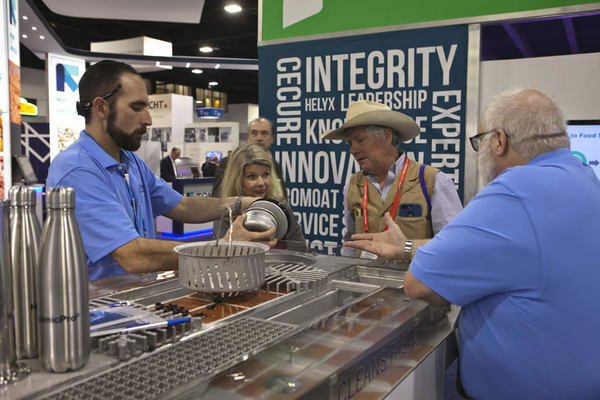 The 2019 International Production & Processing Expo (IPPE) will offer a new education program titled, Salmonella and Campylobacter Control in Poultry Production and Processing – Meeting Food Safety Goals. The program, scheduled for Thursday, Feb. 14, and Friday, Feb. 15, 2019, will provide participants with new information on state-of-the-art technologies, methods and processes in addressing food safety issues faced by the poultry industry. The two-day workshop is a collaboration between the U.S. Poultry & Egg Association (USPOULTRY) and the University of Georgia’s Department of Poultry Science. “Food safety is a critical component of today’s poultry processing operations. This workshop will present the latest information on pathogen control in poultry production and processing, along with practical steps to achieving your goals, followed by an opportunity to practice the lessons learned in a hands-on environment,” said Rafael Rivera, manager of food safety and production programs for USPOULTRY. This inaugural workshop will be on control of foodborne pathogens, salmonella and campylobacter, on the farm and at processing. The first day, speakers will focus on validation of antimicrobial interventions in processing operations and continuous verification of the effectiveness of processing in controlling the prevalence and concentrations of salmonella and campylobacter. The second day will be held at the University of Georgia’s poultry processing pilot plant where attendees will participate in hands-on activities by designing a validation experiment for a unit operation within a poultry processing operation, inoculate with surrogate organisms, treat the product and then evaluate the effectiveness of the antimicrobial intervention. These activities are designed to provide the participants with state-of-the art knowledge, methods and processes in addressing the issues faced by the poultry industry today. “Salmonella and Campylobacter Control in Poultry Production and Processing – Meeting Food Safety Goals” will be held from 9 a.m. to 5 p.m. on Feb. 14. Participants will meet back at the Georgia World Congress Center at 7 a.m. on Feb. 15 to be transported to the University of Georgia for the second day’s session, with the participants being transported back to the Georgia World Congress Center after the program ends at 1 p.m. The fee for this program is $600. Lunch is included both days.